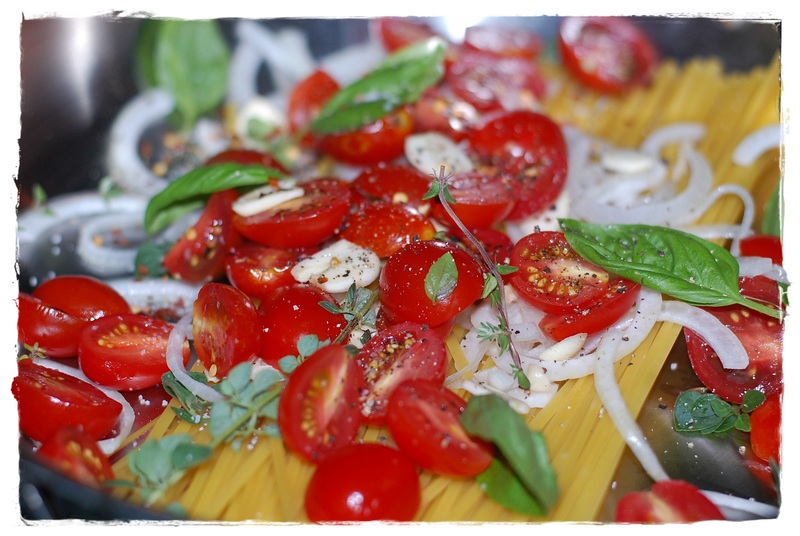 A great dish if you have an overload of cherry or grape tomatoes. For me, a final healthy dose of freshly grated parm and Romano cheeses and pinches of red pepper flakes. Serve with a garden salad and garlic bread. 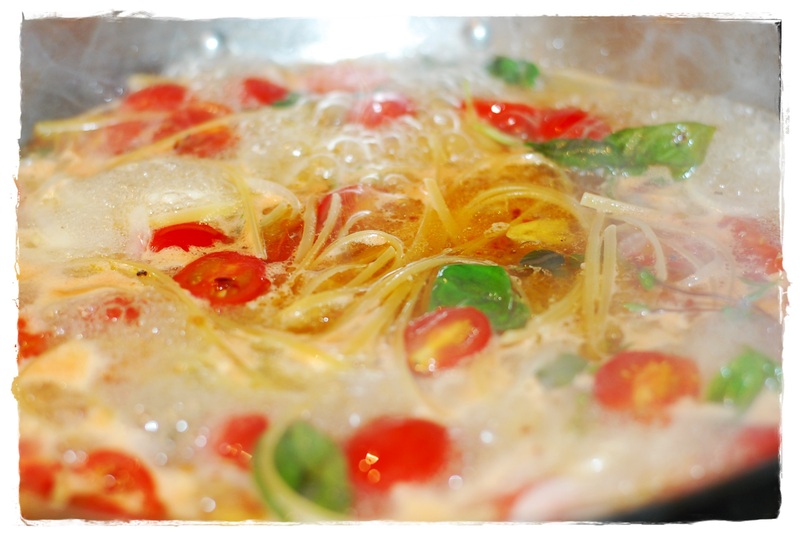 Combine pasta, tomatoes, onion, garlic, red-pepper flakes, herbs, oil, 2 teaspoons salt, 1/4 teaspoon pepper, and water in a large straight-sided skillet (the linguine should lay flat). Bring to a boil over high heat. Boil mixture, stirring and turning pasta frequently with tongs or a fork, until pasta is al dente and water has nearly evaporated, about 9 minutes. Season to taste with salt and pepper, divide among 4 bowls, and garnish with basil. Serve with olive oil and Parmesan. 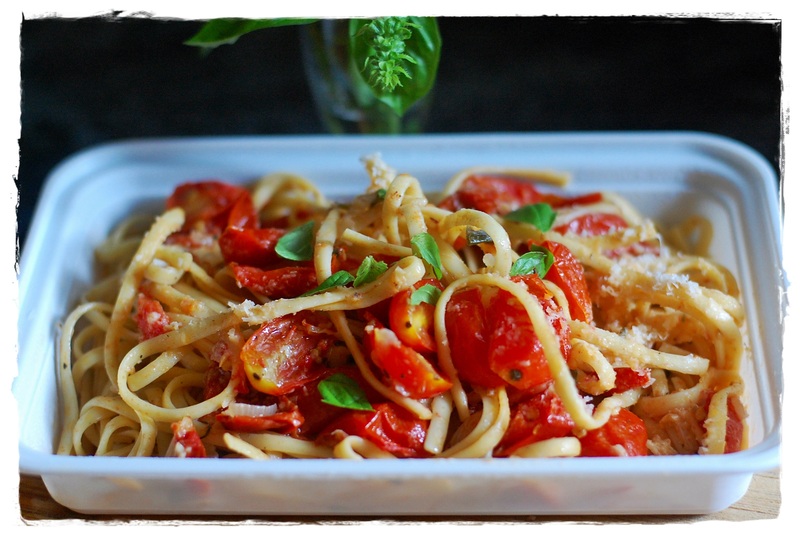 Posted on July 31, 2014 by ibbeachnanaPosted in Pasta Main dishesTagged grape tomatoes, pasta dinner.